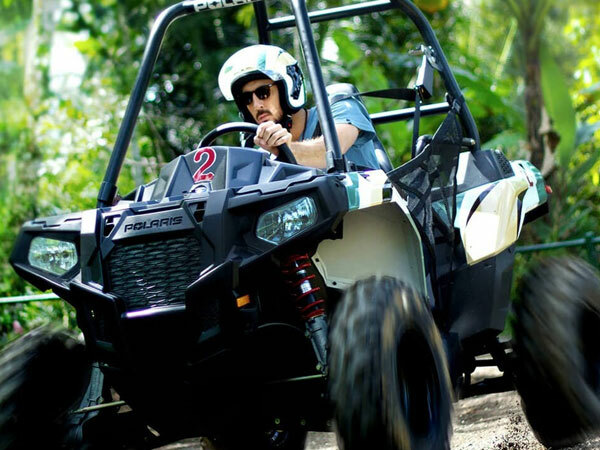 Begin your Bali buggy and get ready to embark on a journey into the jungle for your first experience in Bali and just a 'custom designed ATV track of Mason Jungle Buggies'. 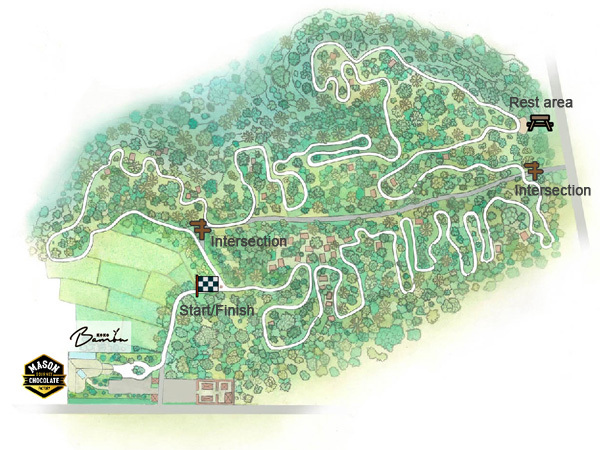 This exciting new course, which covers 4.5km on every lap, is made with the hardest adventure seekers in mind to provide an exciting driving experience like nothing else on the island. 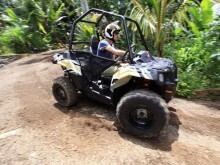 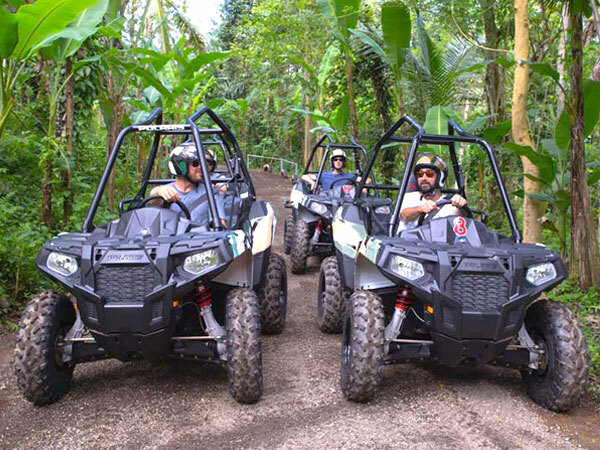 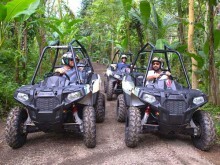 Utilizing Polaris Bali Buggies, guests have the option to choose between single-seated ACE models or drive as a tandem with friends or guides in a double-seated RZR model and determine the number of rounds to complete. A challenging and diverse trail will make you feel like a rally driver, test your abilities and let you miss more. 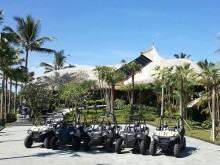 Your adventure begins at Koko Bambu Restaurant, a beautiful natural structure made up of bamboo. 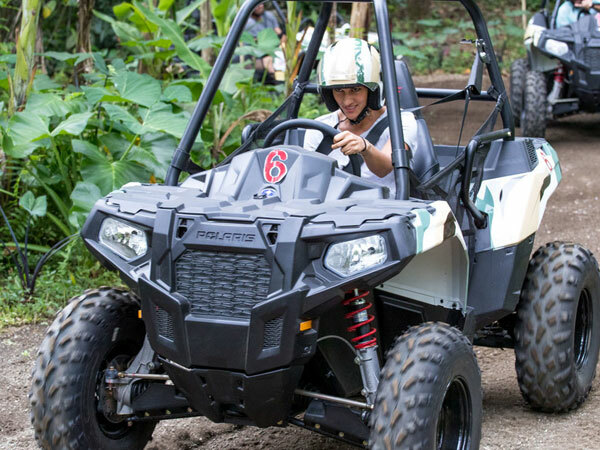 Video safety and demonstrations will be shown describing the necessary precautions and procedures associated with handling the Bali buggy before the helmet with the barrier is distributed. Then, you will get into your buggy and after a short warm-up session, you are ready to tear the track of Mason Jungle Buggies! 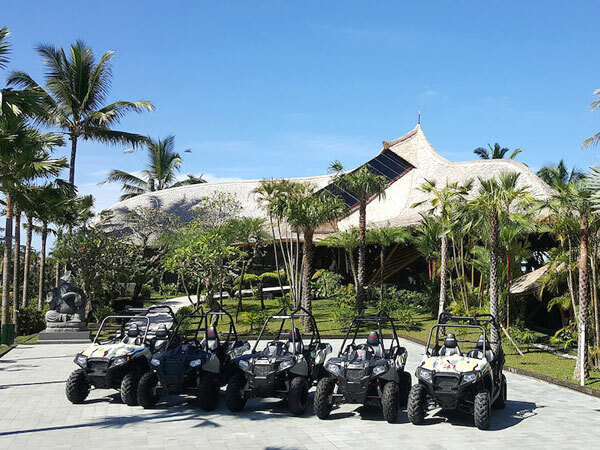 Afterward, you can choose to take time to relax and enjoy a drink or a meal by the pool, overlooking the beautiful rice paddies and the edge of the jungle.